Contractors Parts and Supply, Inc, was founded in 1979 by Ron Daniels. Ron had a philosophy that quality parts and good customer service were key to the crane parts industry. With a vision that the industry was severely lacking in these areas he made it his mission to provide the best service and an inventory of quality parts. This commitment and passion was passed on to his employee family. Ron felt it was his privilege to serve the customer, not the other way around. Instituting new ideas in the industry, such as free parts delivery and no weekend call-out charges, his philosophy was proven to be correct. Contractors continued to flourish through the 1980’s and 1990’s, opening branches in Baton Rouge, Louisiana, Corpus Christi and LaPorte Texas focusing on Galion, Grove, Broderson and Terex parts. After the Galion crane was ceased in production followed by the Grove RT58 soon after, this left a void in the down cab market. Focusing on rebuilding Galion cranes with the same philosophy as his father, Mike then, opened Contractors Crane Company in 2006. Upon Ron’s retirement in 2012, Mike took full ownership of Contractors Parts and Supply. With a dealership in place, Mike merged the two companies for a full line distributorship in the industry. 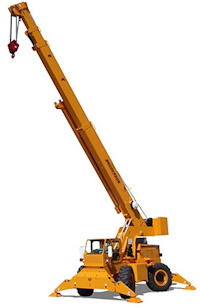 On January 1, 2015, Contractors Cranes became a full line distributor for Broderson Manufacturing Corporation. Focusing on bringing the Broderson cranes into the Texas and Louisiana markets, Mike continues to lead the combined teams into the 21st century with the same commitments and talents with most of the original staff from 1979. We are the same people, with the knowledge and commitment to move Contractors Crane Company as a leader in the Crane industry.